If you have fibromyalgia, you have experienced fibromyalgia chest pain. This is an intense pain in the center of your chest. It is a common symptom. 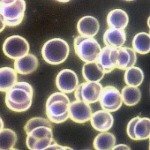 Chest Pain from Fibromyalgia vs Something Worse? The stabbing pain is often caused by fibromyalgia but could be caused by something else. Only a doctor can make an accurate diagnoses once the necessary tests are done. Because it can affect your activities of daily living, enjoyment of life and sleep, it is something that should be treated. 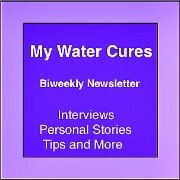 Many have found relief using the Water Cures protocol. 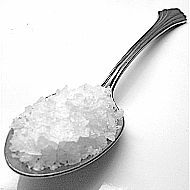 This involves dissolving a very small amount of salt under the tongue and then drinking a glass of water. The amount of water is based on your body weight. 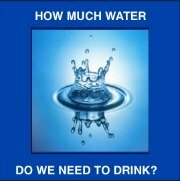 It is only 10% your body weight in ounces of water. This particular kind of chest pain has a medical name. It is called costochondritis. The suffix itis means 'inflammation of.' The costochondral refers to the costochondral joints, the part of your chest called the sternum. The costochondral joints are the joints between your ribs and the cartilage making up the front of the rib cage. They are mostly made of cartilage, which does not have any direct blood circulation. It is easily affected by dehydration. One of the most reported symptoms is feeling pain when moving the upper body or even when touching the ribs. For most people, the pain is felt on the left side of the chest. It can also be felt on the right side or both sides. When your cartilage has inflammation, the pain you will feel is similar to cardiac disease related pain like heart attack and stroke. If you don't know what cardiac disease feels like, then the pain you have is what cardiac pain feels like. Although the science indicates there is little risk for those who have this kind of pain, we disagree. Science also says that stress can lead to numerous other health conditions, including cardiac disease. Pain can cause even more health problems. The cause of inflammation in your sternum can cause inflammation in other places in your body. This needs to be treated for reasons beyond the discomfort you are feeling. 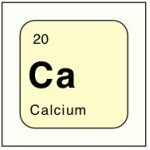 One research paper said, while not conclusive, we should Consier NSAIDs a Risk factor for bone healing impairment. What if There Were a Better, a Healthier Way? The Solution: If the inflammation can be eliminated the pain can usually be eliminated. Fibromyalgia has been called arthritis of the muscles. As to the fibromyalgia chest pain, it is also arthritis of the cartilage. The solution is the Water Cures Protocol for Fibromyalgia Chest Pain. Since there is no direct circulation in the cartilage, it may take longer for your hydration efforts to correct the deficit. Once corrected, the pain will be eliminated. This not only works for the costochondritis pain, it also woks for fibromyalgia. 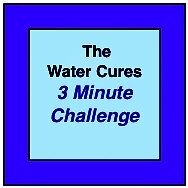 The water cures protocol works because conditions like fibromyalgia and arthritis are signs and symptoms of chronic fluid and electrolyte imbalance. Once you correct the imbalance, the pain and the condition disappears. How Come My Doctor Never Told Me This? Doctors typically do not recommend or use holistic or natural treatments. Doctors do not usually cure diseases. If they cured your disease or condition, would they be able to stay in business? 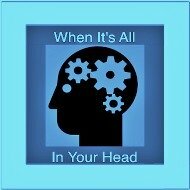 They are in the treatment business, not the curative business. Besides, your doctor is already using the water cures. What is the first thing most get on entering the hospital? A saline IV. The water cures protocol is an oral version of the treatment given in hospitals the world over. 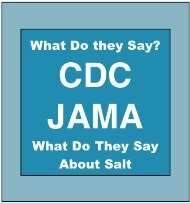 This is because most people who come into the hospital are already fluid and electrolyte imbalanced (are dehydrated and do not have the right amount of salt and essential minerals). Unless it is contraindicated, why not try the water cures protocol? For improving your life, for improving your health, for the elimination of your symptoms.